*PDF PATTERN* Please read all info below for download instructions! A link to this pattern will be emailed to you immediately.. The English Summer Quilt is a toe-dip into English paper piecing combined with traditional patchwork that shows off everything the collection has to offer. There are accents of deep and rich solids that offer drama and a contemporary edge. Just nine center blocks and a stunning border from the Namedropping floral has this quilt finishing at 64” square. 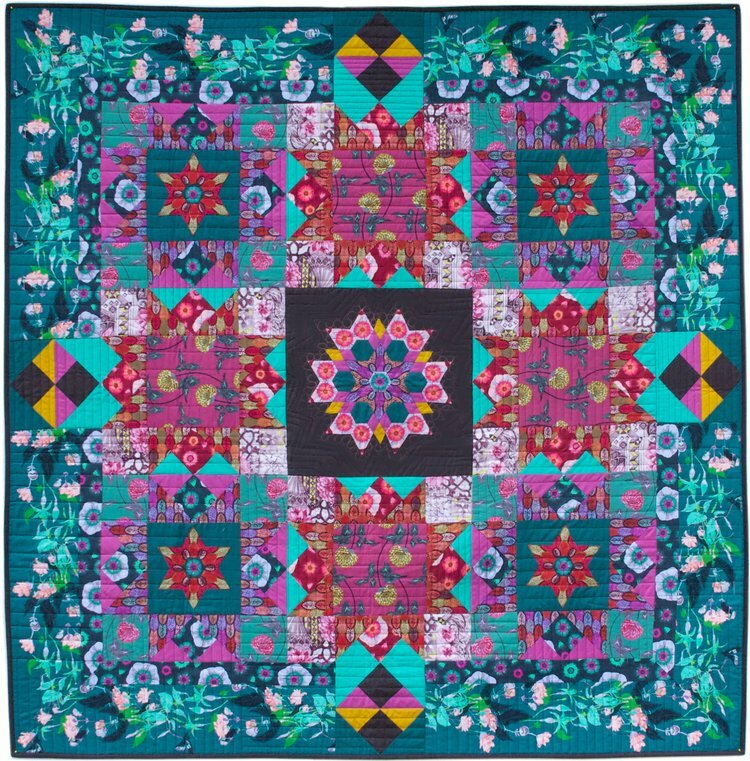 Get your kit for this quilt right here!